There are plenty of reasons Dan Cleary is pumped to be playing in the RBC Play Hockey Charity Challenge on December 19, 7:00 p.m. at the Mattamy Athletic Centre in Toronto. But there is one thing in particular that stands out above all else. 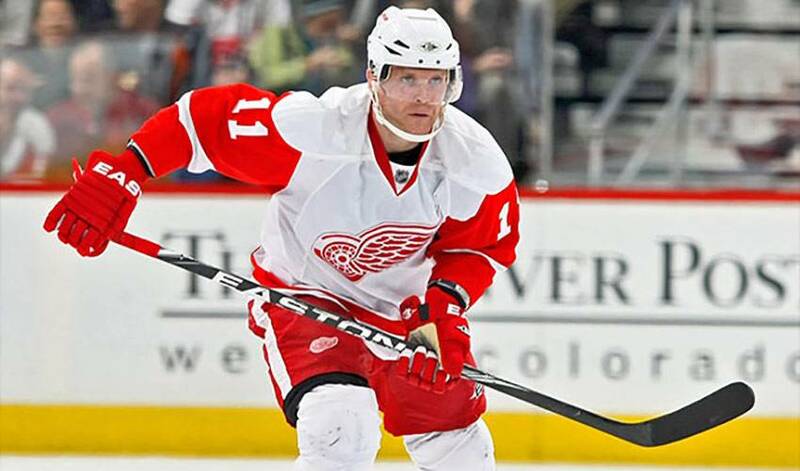 Cleary, who has skated in over 820 regular NHL season games, will take to the ice along with over 30 other players in the charity event whose proceeds benefit grassroots hockey causes, through the NHLPA Goals & Dreams Fund and the RBC Play Hockey program. The NHLPA Goals & Dreams fund is the largest grassroots hockey assistance program in the world. Since its inception in 1999, the Goals & Dreams program has contributed over $21 million to grassroots hockey programs and related causes in over 30 countries. RBC Play Hockey is one of the largest corporately funded hockey programs that supports grassroots hockey in communities across North America. To date, RBC has provided more than $1.5-million in grants to over 120 hockey programs – ranging from learn-to-skate, ball hockey and equipment-sharing programs to reduced registration, access to ice and hockey clinic initiatives. “I am a huge believer in grassroots hockey and what it stands for,” said Cleary, who will play on Team Stamkos, the side led by Steven Stamkos, who’ll take on Team Subban, captained by P.K. Subban. “Hockey to me is the ideal platform that includes every great aspect of life. It combines commitment, teamwork, fun, friendship, loyalty, respect and competition. You want to get kids involved in hockey for what it represents. Cleary, who celebrated his 34th birthday on December 18, is thrilled with the chance to play on the same site that housed one of hockey’s most iconic buildings. Maple Leaf Gardens, home to the Toronto Maple Leafs from 1931-1999, has been converted into a supermarket, as well as an athletic centre for Ryerson University, known as the Mattamy Athletic Centre at the Gardens. The arena features a full-sized ice rink accommodating over 2,600 fans, a multi-purpose court for basketball and volleyball, multiple studios, and a high-performance gym. It also holds some special memories for Cleary, who was part of the Chicago Blackhawks team that won the final game at Maple Leaf Gardens, a 6-2 victory on February 13, 1999. He also skated off with MVP honours in the CHL/NHL Top Prospects game in the late 1990’s. Cleary, however, won’t be disappointed if he doesn’t light the lamp.